October 23, 2016 Speaker: Rev. 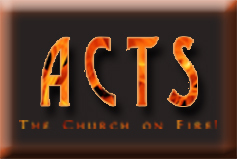 Richard Owens Series: Acts: The Church on Fire! More in Acts: The Church on Fire!